Anti-lock brakes were designed to help you control your car during adverse driving conditions. The ABS system keeps the wheels of your vehicle from locking up, preventing skids when the road is wet or icy. Prior to anti-lock brakes, a driver would have to pump the brakes manually to prevent this phenomenon. Anti-lock brakes sense when your vehicle is in a skid condition and pulse the brakes hundreds of times per minute, which is much quicker than any driver could react. Although ABS brakes also reduce the stopping distance of your vehicle, this is not the main purpose of having ABS brakes. 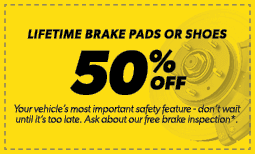 Get more information about anti-lock brakes at Meineke #2136 in Appleton, WI. Anti-lock brakes offer many benefits to drivers. The key advantage is that ABS brakes allow you to more safely stop in slippery conditions. Some drivers rely on their ABS brakes to help them stop within a shorter distance as well. Although an ABS system cost does add to the price of repairs, the technology is standard on most vehicles now. Without this system, you may lose money during the resale of your vehicle. The professional technicians at Meineke #2136 in Appleton, WI repair and install ABS brakes and we offer silicone brake fluid and mineral brake fluid to maintain your system. Drive safely on icy, snowy, and wet roads any time of year. Most ABS systems have multiple sensors built into the system to alert you when the brakes need service. A light on the dashboard might illuminate or you may feel that it takes more effort to press the pedal when braking. Another sign of ABS brake failure is that the brakes lock up while heavy braking. You may hear random clicking noises or feel your brakes trying to pump themselves. This is an indication that something is not working properly. For ABS brake service, bring your car to Meineke #2136 in Appleton, WI for quick and convenient repairs and maintenance by our professional technicians. Your first consideration before driving a vehicle should always be safety, especially when you are transporting passengers. The anti-lock brakes often put up the first red flags that your car is in need of maintenance. That funny scraping sound you hear could be an early warning sign of trouble. Your brake pads may be wearing down and if you let the problem go too long, safety might become a very real concern. 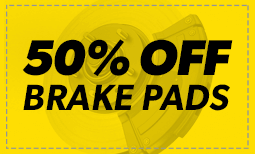 In addition, worn brake pads can lead to further vehicle damage. Nip these concerns in the bud by taking your car or truck to Meineke #2136 in Appleton, WI, for ABS brake service. Although some repairs to the ABS system can be costly, it’s much safer to replace a faulty ABS module as soon as possible. 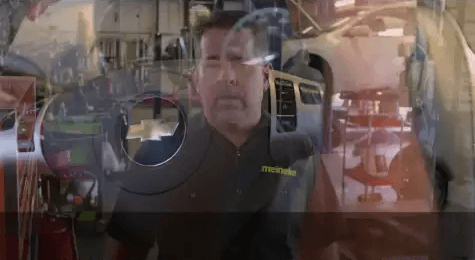 When you hear random clicking noises or feel the brakes trying to pump themselves, you need to come to Meineke #2136 in Appleton, WI for professional repairs. When you become accustomed to relying on your anti-lock brakes, you don’t want to be caught without them, especially when the weather gets bad. Let Meineke help keep you safe on the road. If you are thinking about replacing your anti lock system, a reputable service center can help you choose the best one for your car and help you ensure optimal function. Today’s manufacturers are continually improving sensitivity and reaction time in order to improve safety. As part of your brake’s mechanism, your ABS is affected by the type of brake fluid you use. High quality fluid is less prone to clogging your valves, so it is important to know where to buy brake fluid that is right for your system. Ask the professionals at Meineke #2136 in Appleton, WI about replacing and maintaining your ABS, as well as brake fluid cost.